The world has progressed a lot socially for the past 100 years, especially with the relationships between races. Nowadays, the color of your skin has very little bearing on how you act towards a person or who you want to date. Despite this more progressive environment, however, there are still quite a few instances where people feel apprehensive about certain things, like how you should act around your partner as well as around others. Sometimes the atmosphere you have to deal with can get frustrating, but if you know the right kind of etiquette, you should be fine. 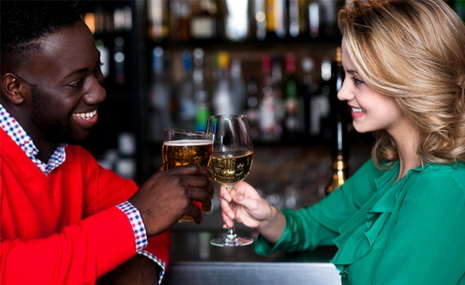 To help you out, here are a few etiquette pointers to consider for interracial dating. Whether you’re the same race or not, it’s very likely that your partner’s family dynamic is different from your own. There will be unspoken rules and traditions that you might not be used to, and the last thing you’ll want to do is to end up offending someone about it. Put in the effort to learn such rules and traditions, and your prospective new family will at least appreciate your effort. It can be a bit overwhelming to navigate such dynamics, but once you get to know your partner’s family better, then you can get a free pass every now and then. Just because your partner has a different background than yours doesn’t mean that the purpose of your relationship has changed. You’re still putting in the same amount of commitment and moving towards the same goal: marriage. Just like regular dating, interracial dating is a test run for the married life, so that’s reason enough to work towards the both of you exchanging wedding rings down the aisle one day. Despite the progressive world we leave in, people are still unsure how to react with people of different races dating. The result of this uncertainty is that people will ask you questions, and sometimes these questions can be a bit uncomfortable, or insensitive. Try to be patient with them. A lot of these questions stem from a genuine desire to learn, and if you lose your temper, that wouldn’t put a good image of interracial dating in their heads. It’s better that you answer their questions right then, so you can at least have a semblance of control as to what information they’re getting. While it’s a good idea to be embracing of what is different, you shouldn’t change who you are as a person just to accommodate anyone. Continue loving your partner just as you are. There’s no need to change your food preferences or stop watching a sport you like. Your partner chose to date you because of who you are and changing that on account for their race would probably not go well. Interracial dating can be an enriching experience for both you and your partner. You can definitely learn a lot from different cultures and traditions and help teach you a lot about yourself as well. Don’t try too hard or think too much about it though. At the end of the day, you’re still two people who are in love, and that’s all that really matters. Responses to "Dating Etiquette For Interracial Couples"